We discuss in this article a novel method for the numerical solution of the two-dimensional elliptic Monge–Ampère equation. Our methodology relies on the combination of a time-discretization by operator-splitting with a mixed finite element based space approximation where one employs the same finite-dimensional spaces to approximate the unknown function and its three second order derivatives. A key ingredient of our approach is the reformulation of the Monge–Ampère equation as a nonlinear elliptic equation in divergence form, involving the cofactor matrix of the Hessian of the unknown function. With the above elliptic equation we associate an initial value problem that we discretize by operator-splitting. To enforce the pointwise positivity of the approximate Hessian we employ a hard thresholding based projection method. As shown by our numerical experiments, the resulting methodology is robust and can handle a large variety of triangulations ranging from uniform on rectangles to unstructured on domains with curved boundaries. 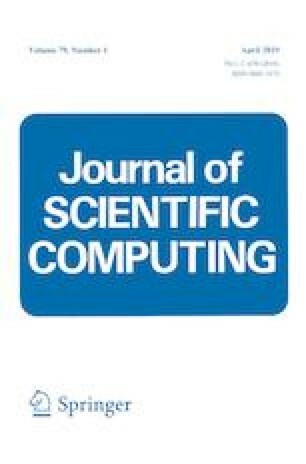 For those cases where the solution is smooth and isotropic enough, we suggest also a two-stage method to improve the computational efficiency, the second stage being reminiscent of a Newton-like method. The methodology discussed in this article is able to handle domains with curved boundaries and unstructured meshes, using piecewise affine continuous approximations, while preserving optimal, or nearly optimal, convergence orders for the approximation error. The original version of this article was revised: The article was originally published in SpringerLink with open access. With the author(s)’ decision to step back from Open Choice, the copyright of the article changed on October 2018 to ©Springer Science+Business Media, LLC, part of Springer Nature 2018. The authors would like to thank the anonymous reviewers of this article for most helpful comments and suggestions. The work of S. Leung is partially supported by the Hong Kong RGC Grants 16303114 and 16309316. The work of J. Qian is partially supported by NSF Grants 1522249 and 1614566.